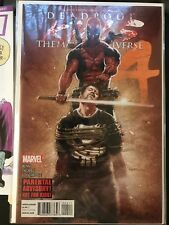 Deadpool Kills the Marvel Universe #1 (Oct 2012, Marvel) NM (9.4) 1st. Print !!! DESPICABLE DEADPOOL #297-300 MARVEL UNIVERSE KILLS DP SET NM CHEAPEST ON EBAY!! !